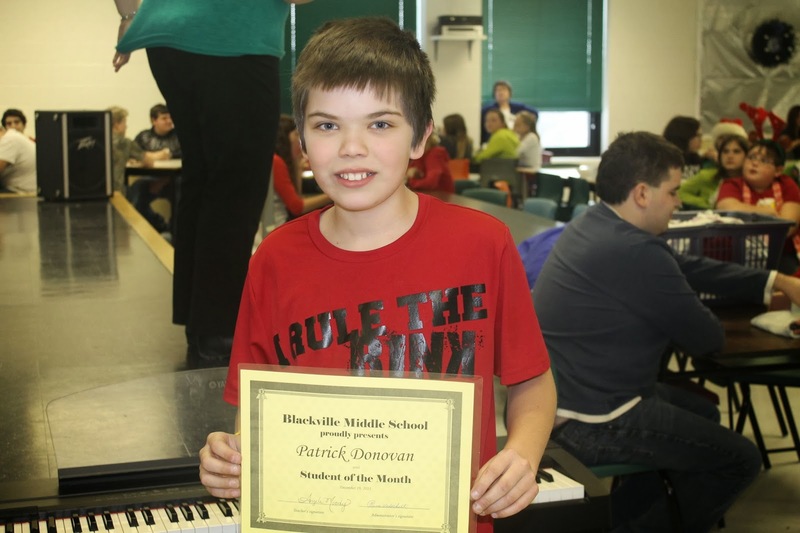 Student of the month for Ms. McEvoy's homeroom class is Cody Maillet. 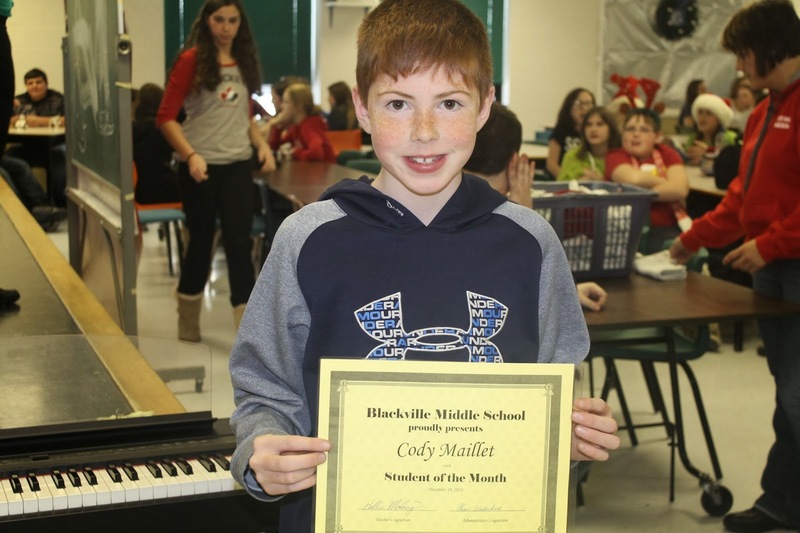 Cody is hard working, shows respect for others, has an outstanding effort and has made academic improvement. 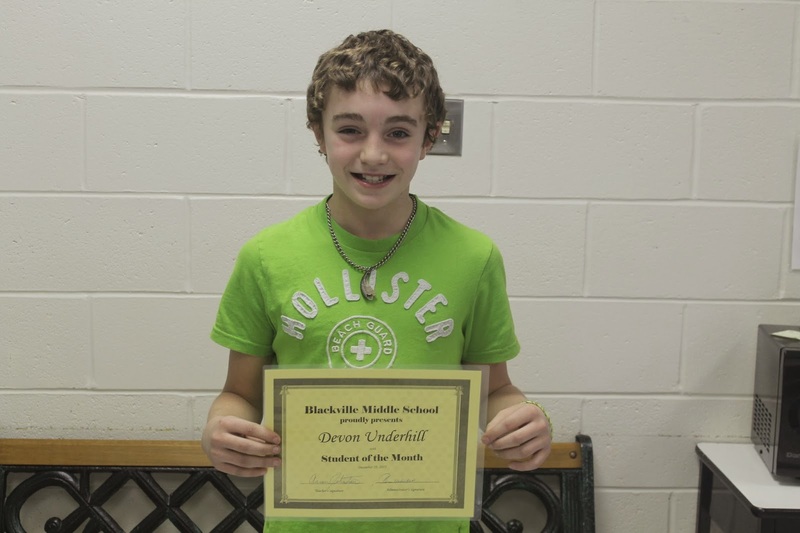 Student of the month for Mr. Johnston's class is Devon Underhill. Devon is hard working; he is especially thoughtful and shows respect for others. 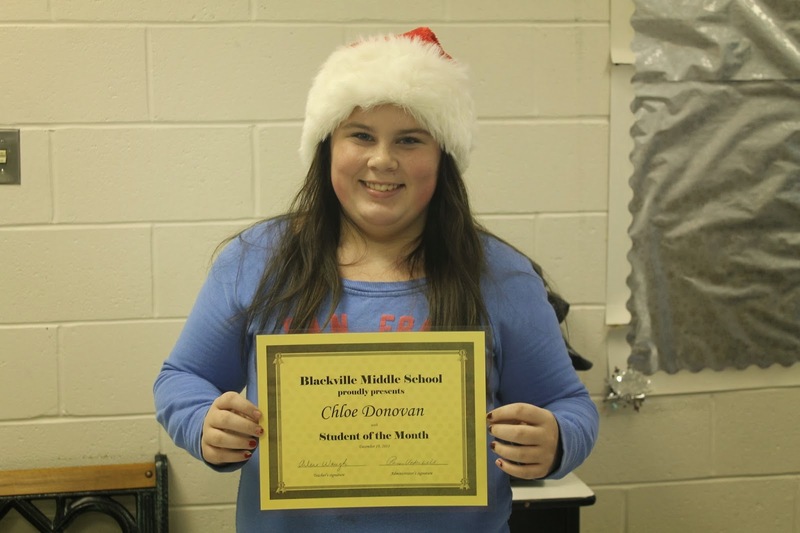 Chloe Donovan was chosen as student of the month for Mrs. Waugh's class. Chloe is hard working; she is especially kind and helpful and shows lots of respect for others. 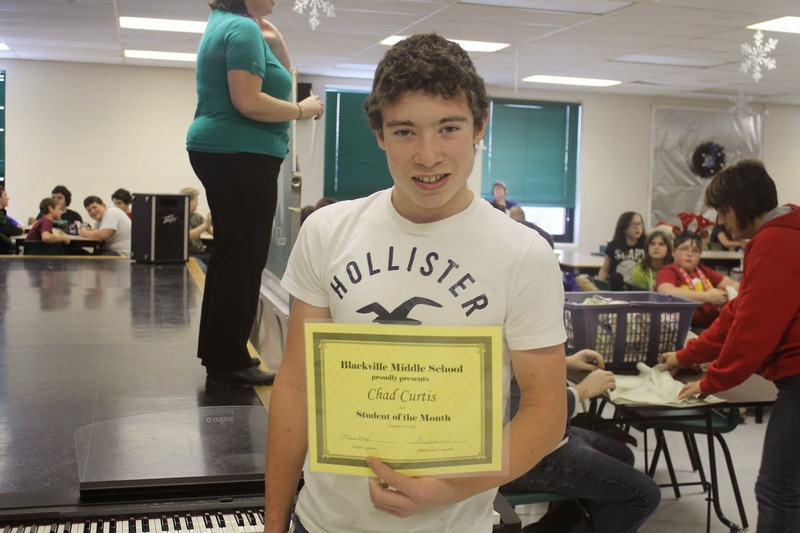 Student of the month for Mrs. O'Keefe's class is Chad Curtis. Chad is hard working, especially kind, helpful and thoughtful. He shows leadership skills and shows respect for others. 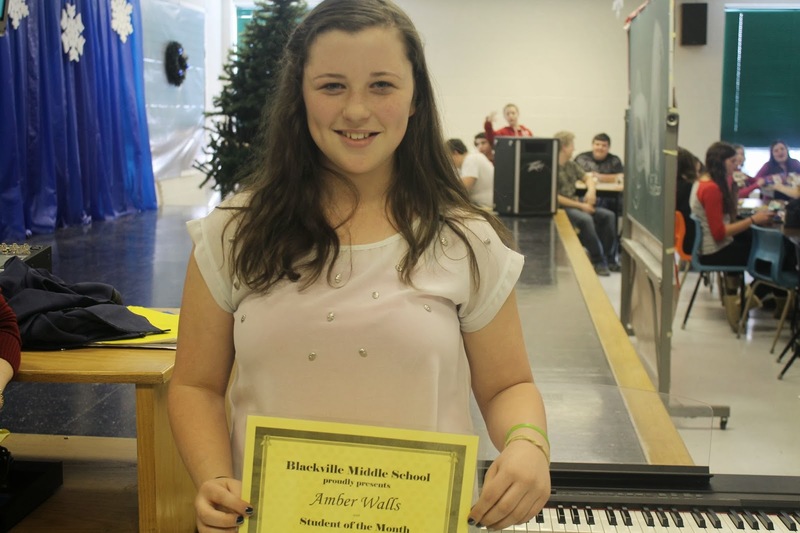 Amber Walls was chosen as student of the month for Ms. Steeve's class. Amber is especially kind and helpful and shows respect for others.